This is a post that appeared on the Washington Post's Monkey Cage page. Democracies do not go to war against each other, and democracies are less likely than other types of regimes to have disputes with each other. These relationships form the core of what has come to be called the Democratic Peace. Our article “Dangerous Neighbors, Regional Territorial Conflict, and the Democratic Peace,” demonstrates that this relationship actually has little to do with democracy and everything to do with where on the globe these countries rest. Alex’s research (see his book here, and articles here and here) has demonstrated that the common method of analyzing cross-sectional dyadic data—information about pairs of states in successive years, like the United States and Canada in 1946, 1947, 1948, etc—often produces biased results when examining international conflict. Our statistical analyses assume that all cases in the sample we analyze are independent, but we know that’s rarely true for international conflict. Rather, conflicts commonly cluster in specific neighborhoods or regions, and we show that these conflict “hot spots” strongly affect the democratic peace relationship. Territorial hot spots also provide another way of measuring the border instability that has been important in Doug’s previous research. His 2007 article found that the relationship between democracies and peace was spurious: border stability leads to both democracy and peace, making the observed relationship between those two variables disappear. Doug used geographic markers such as mountainous territory and ethnically-divided borders to help identify stability (see also his 2012 book). However, by changing the identification of stable borders to territorial hot spots, the study presents another means of validating the Territorial Peace argument that stable borders lead to both democracy and peace (see his earlier Monkey Cage posts, here, here, and here) while also correcting for the statistical problems identified in Alex’s work. In the end we find that controlling for border stability with territorial hot spots eliminates the statistical relationship between pairs of democracies and peace. We assessed a number of different model specifications of the relationship and only found an effect in one case. When a region is already peaceful (i.e., absent any hot spots of territorial conflicts), democracies are more likely to be peaceful, but even then the substantive effects are incredibly small. In short, the peace between democracies seems to be a product of stable neighborhoods. To us, this article represents all the best aspects of co-authorship because it blends so well our separate research interests to answer an important substantive question. We thank BJPS and the Monkey Cage for their support of the research. Doug Gibler is a Professor of Political Science and Arts and Sciences Leadership Board Fellow at the University of Alabama. His most recent book, The Territorial Peace: Borders, State Development, and International Conflict, was published by Cambridge University Press in 2012. Alex Braithwaite is Associate Professor of International Relations in the School of Government and Public Policy at the University of Arizona. His book, Conflict Hot Spots: Emergence, Causes, and Consequences, was published by Ashgate Press in 2010. It's still an expensive book, but 20% off makes it a little less obscene. Use this link to get the discount and thanks! One extension of the democratic peace argument is that democratic leaders have electoral incentives to carefully choose their conflicts. This is why democracies are more likely to fight shorter wars that they win. In a new paper coming out in the Journal of Conflict Resolution, I find (with Steve Miller) that democracies are no more or less likely to fight shorter conflicts or to win them. Using disputes rather than wars, we demonstrate that the association between joint democracy and these empirical regularities is, you guessed it, a function of the (lack of) territorial threat facing democracies. Democracies are rarely targeted by territorial issues. Below is the abstract, followed by a link to the full paper. Recent scholarship suggests that democracies tend to fight shorter conflicts that can be easily won. This is most likely due to the accountability incentives that constrain democratic leaders. Fearing removal from office, democratic leaders will try to choose short conflicts against weaker opponents. The authors question this argument by presenting an alternative explanation for the connection between democracy and shorter disputes and victories. Building on prior works that have identified a territorial peace, this article argues that democracies often have few territorial issues over which to contend. In fact, rarely do democracies have territorial disputes with their neighbors. Thus, democracies have less difficult issues to resolve, and this makes conflict escalation less likely against neighbors. Without neighbors ready to attack the homeland, states at territorial peace can more easily choose favorable conflicts to escalate. This logic applies to all states at territorial peace, of which democratic states are just a subset. Analyses of directed-dispute dyads between 1816 and 2001 provide confirmation for our argument. Regime type does not predict conflict selection or victory once controls are added for issue salience. The British Journal of Political Science has released (online) my article with Alex Braithwaite that examines the effects of concentrations of territorial disputes. We find that these territorial "hot spots" explain much of the relationship previously identified as the democratic peace. In fact, the presence of two democracies in the dyad is NOT a statistically significant predictor of peace once we add the hot spot measure. Only by interacting territorial hot spots with the jointly democratic dyad measure do we find statistical significance. In other words, democracy has an effect only AFTER the region has been settled. However, even here, the substantive significance of joint democracy is quite small. As this chart shows, joint democracy provides an almost imperceptible decrease in the likelihood of conflict. This article builds on Alex's great work on conflict location and aggregation. The findings also of course provide more evidence that the democratic peace can better be described as a subset of the territorial peace, using an alternative specification from the analyses described in my book. Here's the abstract, followed by a link to the full paper. The likelihood of conflict and the observation of joint democracy tend to cluster regionally. This article tests the argument that these clusters can be explained by regional variations in the stability of international borders using a new dataset of territorial dispute hot spots from 1960–1998. These hot spots identify spatial and temporal correlations in the territorial dispute data and therefore serve as close proxies for regional or neighbourhood instability. The addition of these hot spots also eliminates a common form of omitted variable bias – the spatial clustering of conflict – in international conflict models. These results confirm that joint democracy is only statistically significant as a predictor of fatal militarized interstate disputes in more peaceful neighbourhoods once territorial hot spots are jointly estimated. The interaction between joint democracy and regional instability confirms that the effects of regime type on continued conflict apply mostly to dyads in peaceful regions. The December issue of Comparative Political Studies released my paper (with Marc Hutchison and Steve Miller) on individual self-identifications. We use Afrobarometer and World Values Survey data to show that individuals that are targeted by territorial conflict are more likely to consider themselves to be members of their national group; interestingly, individuals in initiating states self-identify with their ethnic or other group. The article demonstrates well the effects of territorial conflict on the individual. Here, it provides additional support for the argument I make in the book that territorial conflict "centralizes" public opinion, even to the point of reinforcing national self-identifications. This article provides some of the first individual-level evidence for the domestic salience of territorial issues. Using survey data from more than 80,000 individual respondents in 43 separate countries, we examine how conflict affects the content of individual self-identification. We find that international conflict exerts a strong influence on the likelihood and content of individual self-identification, but this effect varies with the type of conflict. Confirming nationalist theories of territorial salience, territorial conflict leads the majority of individuals in targeted countries to identify themselves as citizens of their country. However, individuals in countries that are initiating territorial disputes are more likely to self-identify as members of a particular ethnicity, which provides support for theories connecting domestic salience to ethnic politics. That conflict has variegated effects on identity formation suggests the relationship is not endogenous. Our within-case analysis of changes in Nigerian self-identifications further demonstrates that individuals are quite susceptible to the types and locations of international conflict. All data are in Stata files with replication logs. If you note any errors or inconsistencies between the data and the book, please let me know as soon as you can. Note that these data are provided for replication purposes only, and I do not wish them to be used for separate analyses unless my prior consent is given. Thanks. Everyone is heading to the polls today in the United States. What's interesting to me, though, is the absence of foreign policy issues from the discussion points of the two primary candidates. One debate was supposed to focus on foreign policy issues, but both candidates were criticized for veering toward domestic issues during that debate. Further, when discussing with the media or on the campaign trail the foreign policy issues that most affect the United States-- Afghanistan, Iraq, Iran sanctions, Israel, immigration, drone strikes... -- the candidates and the parties approach each issue quite similarly, despite the campaign bluster. This is only one high-profile case, but I believe that lack of attention to foreign policy runs counter to many explanations of the effects of domestic politics on international relations. For example, democracy is not informing in this particular instance. There has been no open debate really as the campaigns have instead focused on employment and economic growth. There will also be no sanction of the leadership for a very long war (10 years in Afghanistan), and the attempts of the challenger to make an issue out of the Libyan embassy attack have been met with ambivalence according to most polls. * Perhaps the only democratic-peace-related theory that could provide a modicum of explanation for this election is Schultz's theory of opposition parties, but I find it less persuasive than an explanation suggesting the public just doesn't care about foreign policy issues. I think, in this case especially, the parties cannot seem to find electoral traction with the public on any foreign policies of consequence and have instead positioned themselves jointly on a policy of defense strength-- whatever that means. As I argue in the book, the United States has friendly neighbors and fish on their borders. It is incredibly isolated from external threats to core territories, and, because of this, few foreign policy issues are going to be salient to the public at large. While many lament the public's lack of foreign policy knowledge, I often think it's a good thing. An informed public suggests a public susceptible to external threats. *The discussion over the attack on Libyan has been interesting for those who study whether leaders are sanctioned. In this example it's unclear whether President Obama knew of the dangers for the embassy, whether it was his policies of security that contributed to those dangers, whether he could have done anything to prevent it, and whether anyone actually cared about the issue more than their jobs or wealth. As this case makes clear, I think, there are a host of (implausible) assumptions that have to be t is very difficult to make a persuasive case that audiences sanction their leaders. this post also appeared on the Monkey Cage. Last Monday I posted about the water cannon fight between Japan and Taiwan. This exchange meets the definition of a militarized dispute since Japanese coast guard vessels engaged Taiwanese patrol boats. Both of these countries are also democracies, but our principal theory of international relations suggests that democracies do not fight each other. So, does this prove one of our best theories wrong? Providing one contrary case does not invalidate a theory or law, of course. The empirical relationship is safe. However, I think the water cannon dispute is really useful for thinking about the dynamics of why democracies tend not to fight each other and what explains the larger relationship. If my argument is correct, the connection between territorial issues and state development controls the overall relationship: democracies do not fight each other not because of anything inherent to regime type; rather, democracies seldom have anything to fight over. Disputes like the Senkaku Islands attract so much attention, in part, because they are so rare. Japan, Taiwan, and China are each provoking the other states, in different ways, over the Senkaku Islands, and nationalism remains high among the populations involved. Nevertheless, no one expects a war here since the issues are comparatively small right now (the potential for oil and fishing rights). These islands are not core territories for any of the states involved, even though they may eventually be exploitable. Curiously, few are mentioning the fact that Japan and Taiwan are democracies as the prime reason the dispute will fail to escalate further beyond this provocation phase. Perhaps that’s because Japan and Taiwan are behaving exactly the same way as China in this dispute—each is claiming the territories, each has a passionate citizenry, and the threats and rhetoric from each leadership have been quite aggressive. Based on observed behavior alone, democracy seems not to matter here. This is strange because one of our core understandings in International Relations is that democracies do not fight each other. We do not know exactly why this regularity occurs though, as there are a host of (sometimes competing) reasons for the relationship—democracies and their leaders may be electorally constrained from conflicts against democracies (here and here), their trade interests and IgO memberships may tie them together peacefully (here and here), democratic systems may better inform their rivals of their intentions (here and here), or it could be the fact that democracies and their citizens just have better ways of working things out in mutually acceptable ways (here). My argument in The Territorial Peace takes a different tack: the reason we find democracies not fighting each other is because disputes like those over the Senkaku Islands are the very rare cases of territorial conflict between them. Territorial disputes have mostly been selected off democracies’ agendas. Recall that I argued in my last post that territorial disputes tend to cause centralization in the state if threats persist. This is why we find unstable borders and centralized, non-democratic governments clustering together over time. This also implies that we will find decentralized states in areas with settled borders; among these decentralized states is where we find the democracies of the world. Territorial disputes are consistently one of the most dangerous types of conflict for leaders to face. The logic of Territorial Peace theory can be extended to explain many of the additional regularities associated with democracy. For example, because borders are international institutions, they affect the development paths of both states in the dyad, and stabilized borders that decrease the need for militarization and centralization in one state also tend to demilitarize and decentralize the neighboring state. This is why we find such strong evidence that democracies cluster together in time and space, creating “zones of peace” that began in North America and Western Europe after World War II and then expanded elsewhere (see for example here, here, and our working paper here). We should also find that any remaining issues between Territorial Peace states will be less conflict-prone since their most dangerous issues have been resolved. This will make negotiation rather than conflict likely in these states. Removal of territorial issues with neighbors will not necessarily make states peaceful with non-neighbors, however. Freed from local threats, those states that are militarily capable can involve themselves abroad without fear of opportunism by regional rivals. Unconstrained, states at Territorial Peace can become militarily involved in many different issues, like the United States has over the past few decades. This may also be the type of transition that China is experiencing now. Russia is becoming less of a threat and other neighbors pose few serious challenges to core Chinese territories, so China may be becoming less constrained and increasingly able to engage on issues well beyond its borders. Of course, if my development story is correct, fewer constraints will also foster decentralization and demilitarization at home. This could portend well for democracy, eventually. Note: This post also appeared on the Monkey Cage blog. In my last post I suggested that public reactions of nationalism and political intolerance in Japan and China in the wake of the recent Senkaku Islands dispute actually follow a pattern similar to most other territorial disputes. Here, I describe the possible long-term effects of territorial issues like these—when territorial disputes remain unresolved and both states continue to be threats to the other. While the dynamics of this latest dispute between Japan and China do not presage large-scale, long-term institutional changes in either country, that has not been the case for other disputes between these countries in the past (for example, the 1930s and the Japanese establishment of Manchukuo). Indeed, China’s centralized state and large army is largely a function of responses to its threatening neighbors, including Imperial Japan. Consistent threats to homeland territories can both strengthen and centralize the institutions of the state. The Senkaku Islands differ from most other territorial disputes in two very important ways. First, the major prize is a group of islands, not bordering territories, so land armies will not be sitting within the state challenging the territories. Second, the islands do not compromise core territories for either state, so the level of threat to the homeland is not immediate or large. Both of these factors discourage the centralization that follows most territorial disputes. In most cases the defense of territories requires large armies to both respond to the challenges and also hold sovereignty over the disputed territories. This causes problems for the citizens in nearby areas since large armies can also eventually bring repression by the state. However, immediate survival takes precedence over state or elite strength, and already-nationalized citizens will support increased militarization. In Chapter 5 of my book, the Territorial Peace: Borders, State Development, and International Conflict, I demonstrate a strong connection between territorial disputes, army size, and eventual repression. No matter how small or insignificant, territorial disputes over homeland territories lead the average country to immediately increase state military personnel by over 100,000 men (after controls added for wealth, population, etc). In turn, these military increases are associated with 20-30% increases in the level of repression by the state in the three years following the territorial dispute. Armies in these cases tend to just sit in or near the contested territories. Demobilization risks power asymmetries, and peace accords without the withdrawal of forces do not eliminate the likelihood that each state will continue to threaten the other. This creates a cycle of conflict and constant threat in the area that can cause dramatic institutional changes. For example, in the last post I described how opposition parties are likely to support the leader at early stages of a territorial dispute. This type of political climate makes institutional centralization for the leader much easier. Wanting to stay in power and/or forward their policies, leaders use the new political environment created by the dispute to eliminate veto players within the state. This is intended to increase the ability of the executive to wield power during crisis—and that power tends not to go away. With control of the army by the executive, few can challenge the process of state centralization. That is why I find that rivalries over territory lead to more than a 5% reduction, per annum, in the number of checks on the executive. A case like the dispute over Manchukuo, lasting over fourteen years, would cause a reduction of over half the veto players in the state. This argument explains why territorial issues and authoritarian governments co-evolve regionally, as Alex Braithwaite and I point out in a forthcoming article in the British Journal of Political Science. Territorial disputes tend to fester, causing large armies and an institutional centralization that magnifies the power of the executive within the state. Without checks on executive power, a repressive authoritarianism is the result. This is why, following centuries of territorial disputes with its neighbors, Japan and the Soviet Union, China has developed a state with strong executive power and an army capable of repressing its large population. Think of the converse of this story, though. What happens when territorial issues are resolved? In Japan’s case, the United States removed both the emperor’s institutions of control within the state and the influence of the military on politics. Japan, an island with few direct threats to its core homelands, became a territorially satisfied state and, eventually, a strong democracy. Once territorial issues are resolved in a state, public opinion becomes more diverse, and the need for large-scale militarization disappears. Party competition returns, checks on the power of the executive grow, and de-centralization of the state follows. Further, if the state has the requisite level of wealth, or a middle class, or whatever other factors are necessary, then democratization becomes likely in the state, as Jaroslav Tir and I find when examining states at “positive territorial peace”, or those that have settled their borders with peaceful territorial transfers. Imagined in this way, the argument implies that democracies are but a subset of all the states that are at Territorial Peace. Why Does Anyone Care about the Senkaku Islands? NOTE: This post also appears on the Monkey Cage. The recent row between China and Japan over sovereignty of the Senkaku Islands, as well as the water cannon fight between Taiwan and Japan, has highlighted again the importance of territorial issues in interstate relations. The dispute led the New York Times to speculate on other possible conflicts around the globe (perhaps fancifully), and the Monkey Cage has covered what the protests mean for both countries. What hasn’t been asked is why disputes like these matter so much for the countries involved. Why are a few rocks in the middle of the ocean so important? My argument in The Territorial Peace: Borders, State Development, and International Conflict (Cambridge University Press, 2012), suggests that territorial issues, unlike other issues, are dangerous because of how they affect the citizens and the institutions of the state. The Senkaku Islands dispute provides a nice example of the types of attitudinal changes that occur in the wake of territorial conflict, across all types of states. In this post, I discuss three of those changes. I argue that public opinion tends to centralize, often in nationalistic ways, when the territories of the state are targeted by conflict. It begins with the fear of conflict. Land means survival in many poor countries, and few would want to risk remaining proximate to any type of conflict. Even in developed countries, land is often an individual’s most valuable asset, and few would want armies fighting for sovereignty of the land. Threats to land force individuals to band together in groups when their lands are directly targeted. But, no one lives on the Senkaku Islands and these are not valuable rocks, at least for the average individual, so why should citizens care? Most individuals are socialized to have an attachment to their lands, and this is often encouraged by the state. Socialization reinforces group identities, which are helpful for governing and maintaining the group. Conflict reinforces these group identities by providing each individual with a stark method of group contrast: the out-group necessary for self identification actually has their guns drawn. For example, the major finding in a forthcoming Comparative Political Studies article is that individuals in states targeted by territorial issues tend to ignore their ethnic or group identity and instead self-identify as members of their nation. This is true globally, as multi-level analyses of individual responses in 43 countries of the World Values Survey demonstrate that being targeted by territorial conflict is the largest single predictor of nationalism. It is a stronger predictor than even a combination of individual characteristics like education, age, media, occupation type, and rural or city residence—the traditional predictors of identity. We also discover this relationship in sub-Saharan Africa. Using the same model, we find that territorial issues predict nationalism at a much higher rate than any individual characteristics, or state characteristics like elections, economic development, and electoral competitiveness. Only very large scores on our ethnic fractionalization measure have a stronger substantive effect. I argue that the centralization of public opinion also stifles political competition within the state. Opposition parties are put in a precarious strategic position, for example. Opposition leaders are facing an increasing nationalistic electorate that does not appreciate dissent. The majority also wants deliverance from the threat and supports the leader. This environment forces the opposition to also support the leader because to do otherwise would risk being labeled as treacherous to the state and an attack on majority opinion. This is where the strength of rallies around the flag can best be measured, as I demonstrate that, since 1960, there has never been a significant, active opposition party in a non-democracy when the state has been targeted by a territorial issue (see here for an earlier JCR piece). Democracies behave similarly; the opposition must wait until either more information from the conflict is revealed or the attitudes of the electorate change. The nationalism and political tolerance displayed by the citizens of the countries in the Senkaku Islands dispute (see here, here, here, and here) is following a pattern common to most territorial disputes. Even the opposition parties are demonstrating their resolve (see here and here). While this dispute most likely will not lead to war in the foreseeable future, the sensitivity of the populations to these rocks in the ocean underscores the strong processes of centralization underlying most territorial issues. In my next post I will return to a discussion of China and Japan and outline how, historically, territorial animosities have led to institutional centralization in both states at various times over the last couple of centuries. Think of it this way: if these rocks can change so many attitudes, imagine what the invasion of Manchuria may have done! 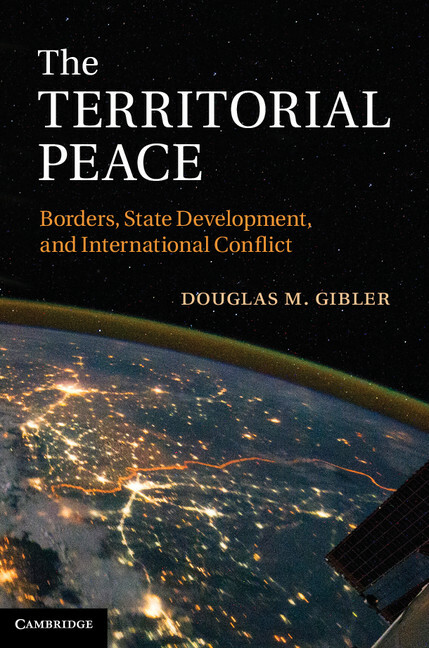 This blog provides additional commentary on current events and academic discussions on themes related to my book, The Territorial Peace: Borders, State Development, and International Conflict, available from Cambridge University Press, September 2012.